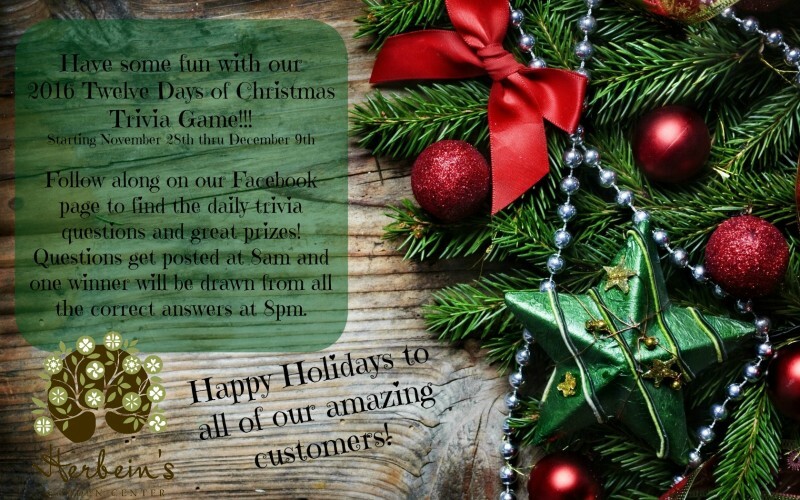 Twelve Days of Christmas Trivia Game & Prizes!!! You are here: Home / Blog/News / Blog / News / Twelve Days of Christmas Trivia Game & Prizes!!! What a Great Way To Get Through the Early Holiday Season! Check in to Herbein’s Facebook page between November 28th and December 9th for a fun-filled chance to win some great prizes from your favorite Lehigh Valley Garden Center! TRY NOT TO USE GOOGLE!